Among the deals to be announced when Indian Prime Minister Narendra Modi visits Moscow next week is the purchase of five state of the art Russian S-400 ‘Triumph’ air defence missile systems. India is set to purchase five Russian S-400 ‘Triumph’ new generation air-defence missile systems (ADMS). Initially, they talked about buying more than 10 such systems, the English daily newspaper ‘Hindustan Times’ reported on Thursday. The agreement to buy five ‘Triumph’ ADMS is worth 400 billion rupees ($6 billion). It will be signed between the governments of Russia and India, and will also include the purchase of 6,000 missile rounds. According to the newspaper, an official announcement about the purchase is likely to be made during the first state visit of the Indian Prime Minister Narendra Modi to Russia, scheduled for December 23-24. Modi’s visit will be preceded by a meeting of the Defence Procurement Council of India, which approves all major defence deals of this kind. Earlier, in an interview with TASS, Indian Defence Minister Manohar Parrikar expressed hope that the parties would have the agreement, to purchase the S-400 systems, ready to sign “before the Indian Prime Minister’s trip to Moscow”. 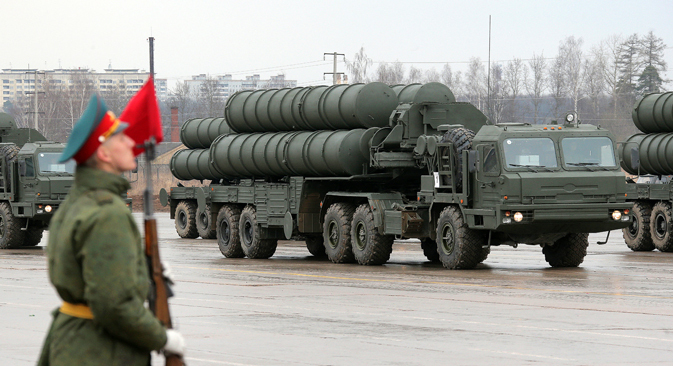 The S-400 Triumph is a Russian long- and medium-range air-defence missile system, designed to provide complete air defence, against all current and future air and space attacks, at distances of up to 400 kms.